"After exploring their creative impulses through strings, horns, pianos, and varied folk influences, Mi and L'au have decided to venture into a newer, more electric environment on their newest record. "If Beauty is a Crime" doesn't feature a single guitar. In fact, you won't find a traditional instrument anywhere on it. The simple, stripped-down sound for which they've become so well known is transformed on their latest album, shaped unexpectedly by circuits, programs, and mechanical processes. "The bet," Mira says, "was to make an album with a computer and new software... From now on we will study machines, meaning keyboards, drum machines, and computers in general." But, along with Mira and Laurent's redefined approach, something familiar found its way into their music. While making the album, both musicians noticed the spectre of familiar melodies and rhythms haunting their work; the inspiration wasn't from a specific song or melodic line, but from a mood or an idea buried somewhere in their past. As they investigated this anomalous influence, they uncovered a shared memory of films enjoyed during their childhood, specifically those scored by French composer François de Roubaix. Responsible for the music in well over 30 films, de Roubaix was known, among other things, for his use of synthesizers and drum machines, and for his use of folk elements in several projects. The connection between his work and their current endeavor was obvious. Subsequently, Mi and L'au immersed themselves in his music, even as they continued to produce their own. Whether by fate or by coincidence, his music found its way into their lives just as they were beginning to explore what electronic sounds could do for them. 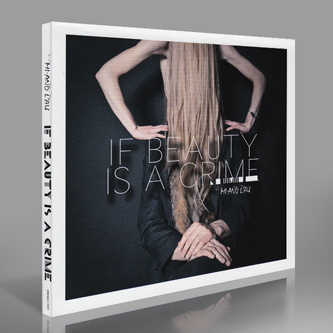 So, in the end, they dedicated If Beauty is a Crime to François. Through their newly discovered electronic voice something older and more familiar sounded out, and the result is a stunning fusion of ideas and feelings that completely redefines Mi and L'au's sound"